Getting new clothes is something every woman loves! 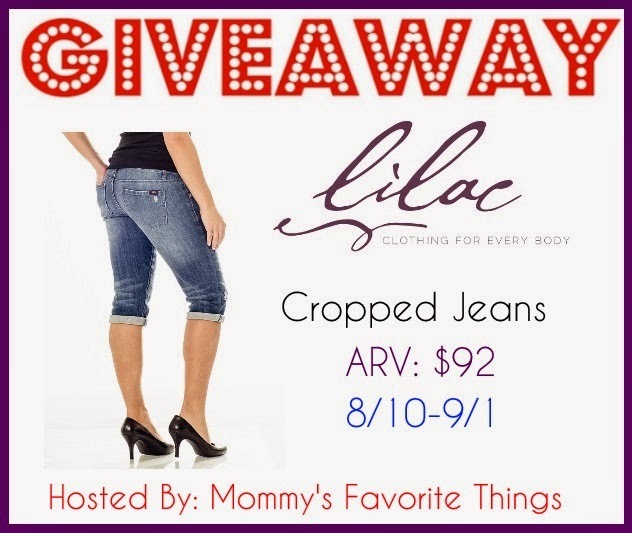 Well Lilac Clothing's Cropped Jean is perfect for Every Body! With features like an internal adjustable waistband and an attached panel at the waistband for modesty or maternity, the Cropped Jean is something every woman can appreciate! With a wide range of sizes they are almost sure to fit every body! Mommy's Favorite Things reviewed them here. Mommy's Favorite Things and the participating bloggers are not responsible for a sponsor who does not fulfill a prize. I really love the Amy Top - Floral Chiffon "A"